Created by Foundation Child and ICACAPAP (International Association for Child and Adolescent Psychiatry and Allied Professions), Erice is today the first Italian Ngo that promotes children's rights and the protection of the right to health. The group held the first meeting in Berlin (Italian Embassy) in 2004. The Congress goal was the definition of the first joint projects among Israeli and Palestinian professionals. To make it possible, the work program foresaw moments of reflection on theoretical and intervention models and experience and background sharing moments: everything with the purpose of supporting an exchange and confrontation atmosphere not only on professional level. In the second meeting, that took place at Erice (Sicily, Italy) in 2005, the group adopted the name E.R.I.C.E., not only in honor of the name of the place but also as acronyms of the common goal (Empowerment and Resilience in Children Everywhere), which is promoting the rights of children and bring them back to a normal life through the necessary cares, everywhere they live and apart from their citizenship. From here Foundation Child decided to fund other projects, to extend them, gradually, to all Israeli and Palestinian people. In 2006 the group had a new meeting in Rome to discuss the first results came out from researches. The picture of the situation was really worrying: researches underlined that children exposed to conflict – Israeli, Palestinian or Arabic- Israeli – presented a severe compromising of their psychological well-being. As demonstrated by Ruth Feldman, expert of the group, even if a relatively low number of children involved in the research had developed a real Post Traumatic Stress Disorder, 70% of Israeli and Palestinian children in pre-scholar age (until 7 years old) presented aggressiveness, sleep disorders, anxiety and alimentary disturb. These are not always recognized, and even if they are individuated they are not adequately treated and become chronicle. In 2007 the group met again in Florence (Italy) during the XIII European Society for Child and Adolescent Psychiatry (ESCAP) congress. In that occasion the results of the researches done by ERICE group was presented to the international public of child psychiatrist through a big symposium. 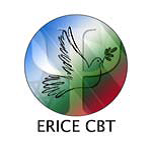 ERICE is an initiative promoted by a group of Palestinian, Israeli and Arabic-Israeli specialists, child psychiatrists and psychologists, supported by members of international academic community, who have dealt with children and adolescents well-being and mental health for many years. Guided by the belief that children everywhere are to be cherished and that respect for and protection of children is a shared human value, ERICE works to promote human rights, joint action, training and interventional projects focused on enhancing the well-being of children and families affected by the Palestinian- Israeli conflict. ERICE brings together child mental health professionals from Israel and Palestine to formulate and accomplish joint projects to enhance the well-being of children and families that neighbor one another in this strife-torn region of the world. ERICE group represents a think tank for the research and the intervention aimed at protecting children and adolescents affected by the devastating effects of war, out from the “logic of competition”. The attention is all focused on children and adolescents who are living in conflicts areas, promoting a preventive and supportive action that protects their mental health, as fundamental element to build a future of peace. Hazem Ashour (M.D., Ramallah Mental Health Centre) , Twafiq Salman, Eyad Halaq, Morshid Farhat, Mustafa Qossoqsi (Ph.D., Institute of Psychotherapy). It’s affiliated to several important organizations and Israeli/Palestinian Universities. Among them: Al-Quds University, Hebrew University, Bar-Ilan University, University of Birzeit, Hadassah University. Foundation Child and Yale University carry out a role of coordination, support and scientific supervision, thanks to the leadership of Prof. Ernesto Caffo (President of the Foundation Child) and Prof. James Leckam (Director of Child Study Center at Yale University). · Enhancing the Psychosocial Health and Empowering the School Age Children in Gaza (Fadel Abu Hain, Jabr Abu Naja). Each of these projects shows promise, but none are fully funded. With additional donations several of the ERICE projects can be expanded to have a dramatic impact on the lives of a large number of Israeli and Palestinian children. The work of ERICE has been facilitated by two external advisors: James F. Leckman, M.D., Child Study Center Yale University; and Ernesto Caffo, M.D., the current President of Foundation Child.